The gospel according to Hillary Clinton is that you unabashedly and unapologetically do the things that people usually expect white males to do, like running for President. So, too, now with our First Lady of Artpop. The Lady Gaga's DNC event performance functioned as the perfect tribute to Hillary, doing pretty much the same damn thing via performing protest songs from Famous White Males Of The Indie Canon like Woody Guthrie, Neil Young, and The Beatles. You know, basically all the musicians your first ever boyfriend made you mixtapes of. Gaga performed these protest hymns at an exclusive concert at Camden Rising, an event which was invite-only for Democratic delegates. If you want to recreate the concert, then line the following songs up and imagine a distinctive female dubbing: she played "Come Together," by the Beatles; "Old Man," by Neil Young and "This Land Is Your Land," by Woodie Guthrie amongst others. What I love about Gaga's performance is that she doesn't try and duplicate the style of the hallowed male musicians' work she's covering. Instead, as is the key to creating any good cover, she makes the songs entirely her own, giving a vocal delivery that's every bit as brassy diva-esque as her performance on any of her own songs, from Bad Romance to Telephone. But it's not just about the vocals. One of the most distinctive qualities about Lady Gaga has always been how comfortable she is in her own body. I love that, just because she's performing classic protest songs, she's not abandoned her dance roots. As she gets more and more absorbed by her own performance, she begins to writhe about on the piano stool in a way that's pure Lady Gaga. 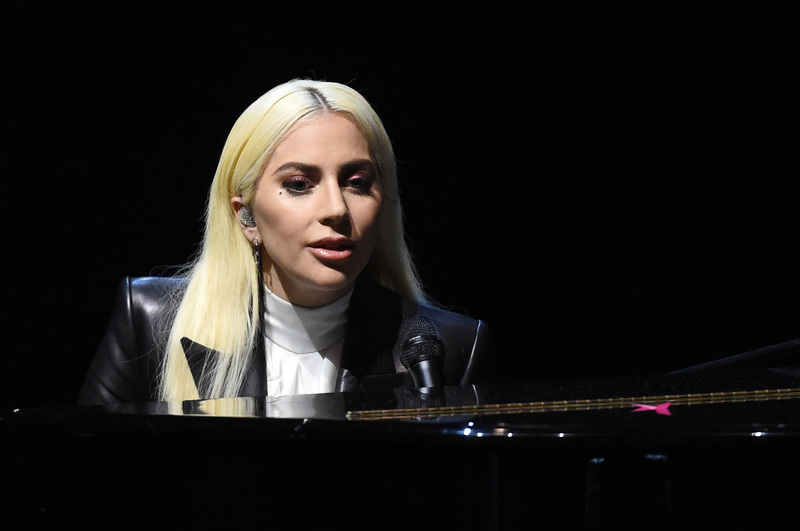 Lady Gaga's Neil Young performance also encapsulated another aspect key to her appeal. While often, listening to songs by these classic indie males, you can't help but feel extraneous to their vision of the world, Gaga is all about inclusivity. As such, her tribute to Neil Young is a thing of beauty. She starts off her performance by explaining how much he means to her: "He inspires me a lot, so. I love you, whether you're an old man, a young man, a young girl or an old girl." By performing these songs, Gaga is showing the next generation of girls that you don't have to be a white male to matter in music, just as, if Hillary gets elected, she's proving to the future female politicians of tomorrow that you don't need to have a Y chromosome to qualify for office. And this inclusivity is why Gaga's performance was the perfect tribute to the potential next President of the United States.